Read About Inpatient and Outpatient Rehab Centers That Are Accredited. When you’re searching for alcohol and drug rehab, you want to know that the facility you’re choosing offers quality care and is equipped to treat your unique care needs. The National Institute on Drug Abuse reports that there are more than 14,500 alcohol and drug treatment facilities in the United States, and more and more are opening on a regular basis, in large part, due to the opioid crisis. 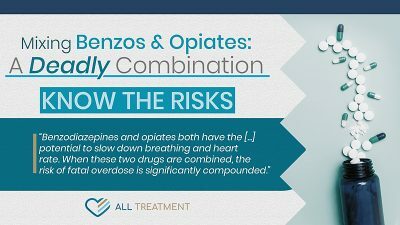 It’s important to understand that not all treatment facilities are created equal. 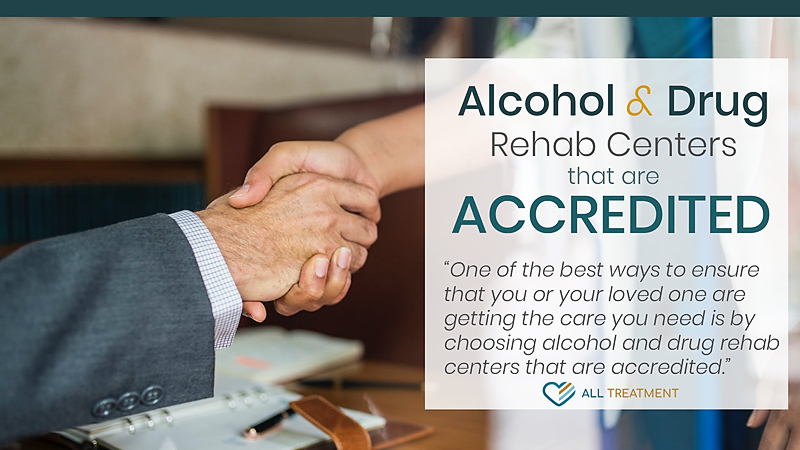 One of the best ways to ensure that you or your loved one is getting the care they need is by choosing an alcohol and drug rehab center that is accredited. With the increase in Medicaid funds available to treat drug and alcohol addiction, many lesser-quality treatment centers are doing everything they can to take advantage of the opportunity. While the additional options increase access to treatment in some form, they also make it more difficult for patients to choose a facility that is right for them. Accreditation from a recognized healthcare authority gives addiction treatment centers legitimacy and indicates that they’ve met or fulfilled a comprehensive and often rigorous set of guidelines to receive that organization’s seal of approval. Accreditation metrics measure everything from the quality of care and patient experience to cleanliness and treatment outcomes. Accreditation provides prospective clients and their loved ones with the assurance and peace of mind that they’re choosing a legitimate and recognized treatment facility. What Organizations Are Responsible for Accreditation? Addiction treatment facilities can receive accreditation from a wide variety of organizations. Some of these accreditations will be awarded according to the state in which the facility operates, including their respective departments of children and families. Joint Commission on Accreditation of Healthcare Organizations (JCAHO) – Leading accreditation authority whose gold seal represents excellence and rigorous compliance in healthcare. National Committee for Quality Assurance (NCQA) – Independent 501 non-profit that works to improve healthcare quality through the administration of evidence-based standards, measures, programs, and accreditation. American Accreditation Healthcare Commission Accreditation Commission (AAHC) – Healthcare accrediting organization that establishes quality standards for the entire industry. Accreditation Association for Ambulatory Health Care (AAAHC) – Accredits ambulatory healthcare organizations, including ambulatory surgery centers. Each of these organizations has its own accreditation standards, some of which may be more lax or stringent for addiction treatment facilities. The search for accredited alcohol and drug rehab centers should be easy. If you or your loved one are searching for addiction treatment, you’re undoubtedly overwhelmed and emotionally vulnerable – you shouldn’t have to go through a long search process to find a facility properly staffed and equipped to treat your needs. The Joint Commission and other accreditation organizations will have approved treatment centers on their site directories, and facilities that are accredited will undoubtedly feature their credentials prominently on their websites and marketing materials. Accreditation can represent the difference between quality care and substandard treatment experience. Let your loved one help you find an accredited alcohol or drug rehab organization that’s right for you.